JLPN staff pose with a poster describing the seven types of waste. Photo courtesy of The Peters Company. Lean is a proven method for eliminating waste that results in more value to customers, delivered at a lower cost, in a shorter time, with fewer defects and less human effort. The system engages everyone in the organization to continuously improve. 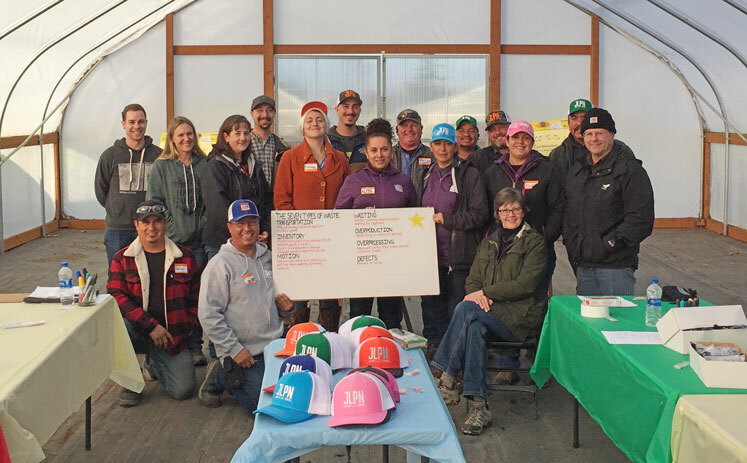 “Our highest gains are from the encouraging attitudes instilled in our employees,” said Chris Lee with Eshraghi Nurseries. For more information, visit petersco.net/consortium or contact Elizabeth Peters, 503-250-2235 or epeters@petersco.net.